When the show’s about to start on your Fire TV and you’re already lounging on the sofa, why spoil the moment by getting up and walking over to the light switch when you can instruct your Fire TV to dim the lights? 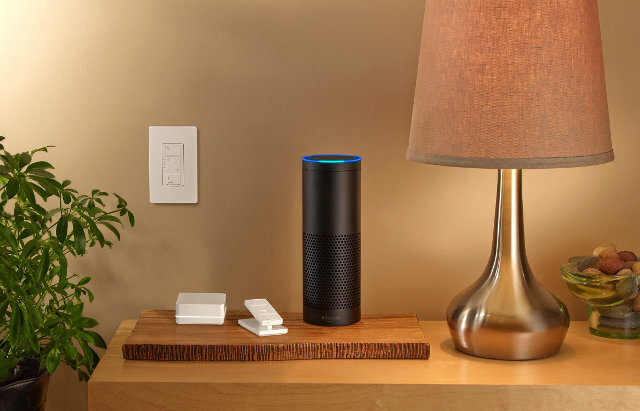 Thanks to new Lutron Caséta Wireless support for Alexa, that convenience is now at the tip of your tongue. Lutron Electronics has announced integrated support for its Caséta Wireless system via Alexa, Amazon’s cloud-based voice assistant. The Caséta Wireless system lets you control your lights without ever touching a switch. Control your lights wherever you are using the Lutron app for iOS or Android, the Lutron Pico remote control, certain third-party devices and now Amazon’s Alexa. Alexa integration will allow you to control your home lights using voice commands with your Amazon Echo, Echo Dot, Tap or Fire TV. Simply tether the Caséta Wireless smart bridge to your home Wi-Fi network so that it can interact with Alexa. Since you most likely use your Alexa-enabled gadgets in the places you spend the most time — your living room, kitchen and the like — the Lutron Wireless system lends convenience by letting you adjust the room lights with just a voice command or the tap of a button. Imagine coming home to a dark house with your arms cradling bags of groceries. Just one spoken command can light up the house. It’s all about simplifying a menial but necessary action. When the spoken word should remain unheard — shh, the kids are asleep — the Lutron Pico remote control can take over the job of flipping the switch wirelessly. Buy the $99 Lutron Caséta Wireless kit online at Amazon. Visit Lutron for more information on compatible bulbs and other compatible smart home products. The Caséta Wireless system was launched in 2014. Lutron is one of the biggest providers of smart home lighting solutions. Besides controlling your lights, Alexa has more convenient tricks in its bag. See our post on seven fun things that you can do with Alexa. Hey, what is the difference between this one and the Lutron P-PKG1W-WH? I am thinking between these two. Thank you.